A book that gives credit where credit is due is finally out. This book reveals and recognizes the contributions of the rich and diverse mastery of the Assyrian artisans of the past. Illustrations show the purpose of each item of jewelry and costume and it's connotation to religious, royal, magical, and military specific usage. The examples have been copied and recopied by so many of the societies in eastern and western civilizations. We learn the origin and reason for the custom that have been adopted time and time again today's culture. 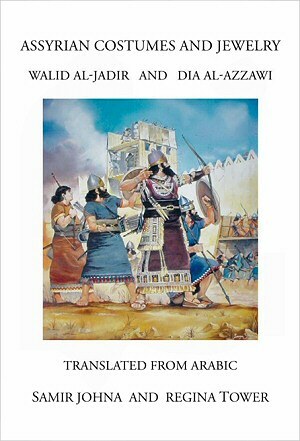 The writers have thoroughly researched and interpreted this text so that nothing could be lost in the translation, in order to keep its historic and archaeological depth. This book is a great source of inspiration to many designers that may want to delve into the fashion world of ancient culture, as well as teachers that would like to trace the origin of western civilization. Written and translated by experts in the field, this book is a must have for any Assyriology student and others interested in ancient cultures. Assyrian Costumes and Jewelry - Amazon's online bookstore.